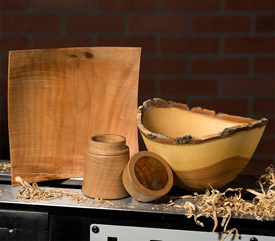 Please see our 5-Day Woodturning Workshops (Deposit Only) category for more choices. Kirk DeHeer, a long time workshop assistant and now resident instructor, Kirk DeHeer has an extensive knowledge of woodturning tools, equipment and turning techniques that will enhance any woodturner’s ability level. A very popular and personable instructor, Kirk emphasizes fundamentals including sharpening and tool techniques giving students a firm foundation upon which to improve.